Reena has broad and substantial experience representing U.S. and global businesses and individuals in complex litigation in U.S., European and other courts. As a partner in Hausfeld’s Washington, D.C. office, Reena litigates and resolves antitrust claims for corporate clients who have suffered financial harm as a result of antitrust violations. ­Reena’s wide-ranging experience allows her to uniquely advise and act for clients in all stages of litigation in matters around the world, and achieve wide-ranging innovative strategies and solutions. Global Competition Review recently named Reena among the top 40-under-40 antitrust lawyers in the world. The National law Journal also recently named Reena as a D.C. Rising Star - recognizing the top 40-under-40 Washington D.C. lawyers across all disciplines whose legal accomplishments belie their age. 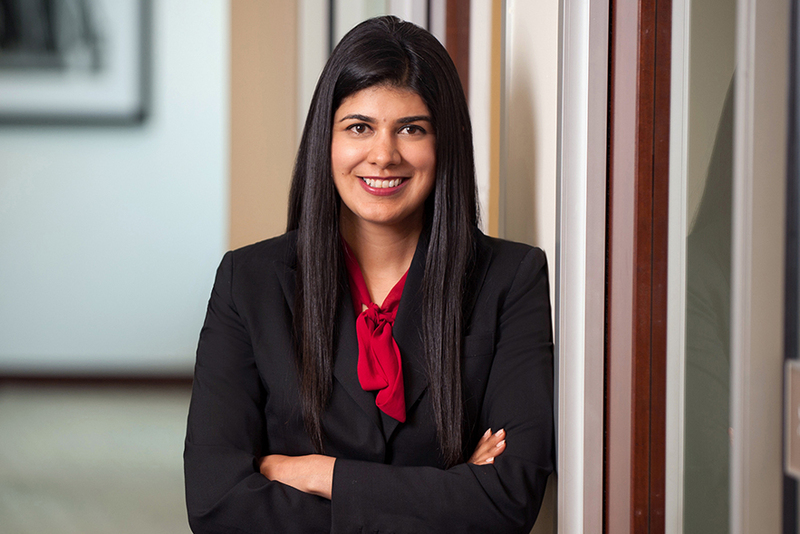 The legal 500 has honored Reena Gambhir as one of just ten "Next Generation Lawyers" in Antitrust Nationwide. In 2015, Law 360 named Reena a Rising Star. The Washington Business Journal recently named Ms. Gambhir a Top Minority Business Leader, an honor held for the top 25 Greater Washington leaders who embody entrepreneurial drive, creativity and success in business. Reena was also elected in 2014 as a Fellow of the American Bar Foundation, an honor afforded to less than one-third of one percent of lawyers, judges and legal scholars whose careers have demonstrated outstanding dedication to the highest principles of the legal profession. And twice now for 2013 and 2015, the Profiles in Diversity Journal named Reena a Woman Worth Watching, an award held for selected women who have distinguished themselves in their career. Reena is currently one of the principal attorneys representing clients in high stakes litigation against some of the largest banks in the world in the In re Foreign Exchange Benchmark Rates Antitrust Litigation, 13-cv-07789 (S.D.N.Y.) which has secured over $2.3 billion in settlements. 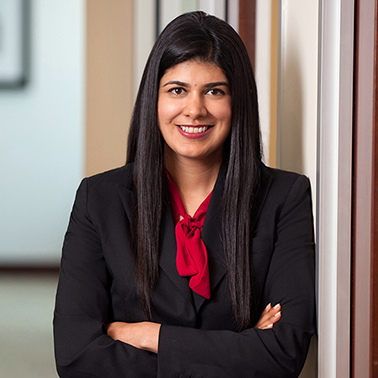 Reena’s recent achievements include, among other matters, representing U.S. and foreign businesses in In Re Refrigerant Compressors Antitrust Litigation, 2:09-md-02042 (E.D. Mich.) alleging price-fixing and reaching settlements of approximately $50 million dollars. She also was one of the principal lawyers to secure settlements totaling almost $100 million in an antitrust case involving the chemical industry (In Re Hydrogen Peroxide Antitrust Litigation, MDL No. 1682 (E.D. Pa.)). Reena also dedicates herself to the private civil enforcement of competition law around the world. In connection with her UK partners, Reena represents clients, many of which are listed in Fortune Global 500 and Forbes Global 2000, in their individual damage claims seeking to recover losses as a result of price fixing cartels and other antitrust violations. These include purchasers of elevators, air freight services, Visa and MasterCard interchange fee services, and marine hose. Additionally, in the marine hose matter, Reena recently concluded the negotiations for the final claims resulting from the first of its kind private global settlement with cartelist Parker ITR. Reena is currently at the forefront of competition claims in South Africa, working with South African counsel in groundbreaking litigation on behalf of low-income bread consumers. This case resulted in a recent landmark ruling by the Supreme Court of Appeal (SCA) which determined for the first time the specific requirements for filing a collective action in South African courts. Reena also dedicates herself to international human rights work. She currently represents residents of Bhopal, India who were exposed to toxic wastes, which have contaminated the soil and drinking water surrounding the infamous Union Carbide Plant, which was the site of the1984 gas leak that killed and injured thousands of residents. Reena is also involved in litigation in both the UK and South Africa on behalf of South African gold miners who have suffered silicosis. Reena also assisted in the representation of the former “comfort women”, women and girls who were forced into sexual slavery during World War II. In her pro bono work, among other cases, Reena has successfully represented individuals in United States Immigration Court in political asylum proceedings. Reena has been asked to speak on matters related to antitrust, private enforcement, and human rights across the world. She also has previously been an appointed member to the ABA International Task Force’s leadership and the ABA’s International Cartel Task Force. Global Competition Review's Top 40-under-40 Antirust Lawyers in the World, 2015. Appointed Leadership, American Bar Association's Section of Antitrust International Task Force. Selected by the Washington Business Journal as a, "Top Minority Business Leader," 2015. Selected by Diversity Journal as one of their “Annual Women Worth Watching,” 2015. DC Rising Star for 2014, The National Law Journal. Elected Fellow, American Bar Foundation, 2014. Selected by Diversity Journal as one of their “Annual Women Worth Watching,” 2013. Ms. Gambhir is co-author of Global Enforcement of Anticompetitive Conduct, presented in Florence, Italy at The Tenth Annual Sedona Conference on Antitrust Law & Litigation: The Globalization of Antitrust Enforcement (September 2008). Panelist, "Class Actions and Private Actions," George Mason Law Review's 18th Annual Antitrust Symposium, February 19, 2015.